Leaving Texas early Friday morning, I was met at the Atlanta airport by Rita Horton and Jean Vaughn for the two hour drive to Auburn University campus where the Alabama State Conference was held. It was a time for visiting and laughing as we shared memories from our experiences serving the National Society. The friendships we form as we work together are often the thread that keeps us connected to the organization. Make sure your newest member has an opportunity to become a friend to your chapter. 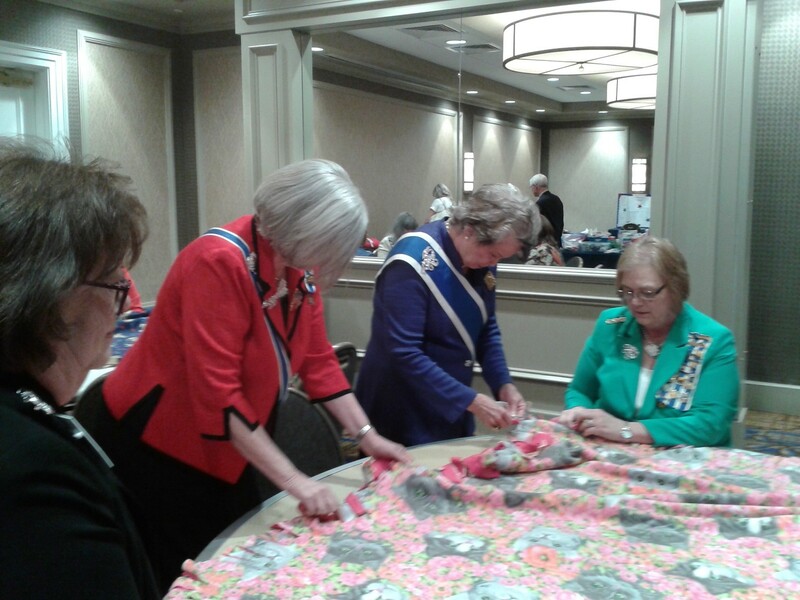 The 120th State Conference of the Alabama Society was held March 9-11, 2018 in Auburn, Alabama. The conference theme “Celebrating Our Roots! Moving Forward in Service!” continued our state bicentennial focus and honored the visit of President General Ann Turner Dillon, who arrived from the Texas state conference on Friday. State regents Cindi Carter of Iowa, Cindy McNamara of Mississippi, Charlotte Reynolds of Tennessee, and Carol Schwenk of Vermont were also special guests of the conference. Our Daughters were very moved by Mrs. Dillon’s inspiring speeches at her tea for Founders Club and Heritage Club members and at our Opening Night session, where she was the keynote speaker for the conference. In appreciation she was presented a gift for her President General’s Project, a silver state charm made in Alabama, and an Alabama marble cheese board etched with her symbol. 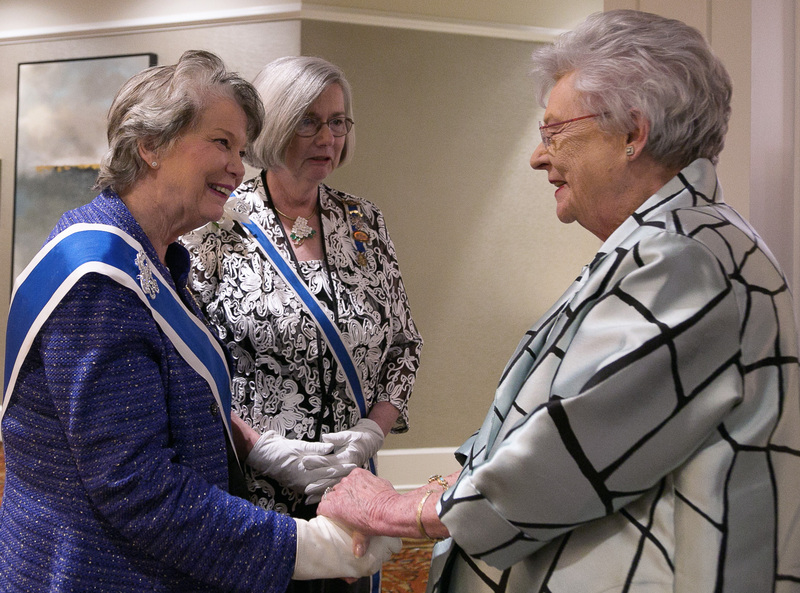 We were also thrilled to welcome the Honorable Kay Ivey, Governor of Alabama and Anne Phillips Chapter member, who brought greetings at Opening Night. We surprised Governor Ivey with the news that she has been named a “Dazzling Daughter” in recognition of her public service. Friday morning was filled with training for chapter officers and new members; presentations on conflict resolution, conservation of antique textiles, and DNA tests and their use in family history research; and a special presentation by Service Dogs Alabama. Thanks to the generosity of Alabama Daughters toward the patriotism portion of the state regent’s project, we presented Service Dogs Alabama a check for $10,000 to sponsor training of a service dog for a female veteran who has severe PTSD. The Service Station workshop opened on Friday morning and continued through Saturday. Daughters visited with each other while participating in service activities, including the preparation of over 150 toiletry kits for VA nursing homes and 27 “blankets of love” for veterans and children who are removed from unsafe homes. Daughters also contributed 400 items of underwear and 150 toiletry items for a homeless veterans’ shelter and 250 stuffed animals for sheriffs’ deputies to give children involved in domestic violence and accident calls. At the Awards Luncheon, we honored student and adult award winners. Daughters and guests were then treated to a program by the Southeastern Raptor Center at Auburn University. At the School Breakfast the 2018 Continental Congress student representatives introduced themselves, and Beth Cagle, KDS Development Director, provided an update on the robotics classes sponsored by the State Regent’s Project. Beth reported that all 471 students in grades 5-8 receive robotics and programming instruction aligned to their grade level curriculum. Forty-three students in grades 4-6 also participate in the Robotics Club after school. She also showed a video which featured interviews with students and parents who talked about the robotics classes. The video can be viewed on YouTube at KDS Patriot Vision Video on Robotics Classes . An additional donation to help with funding next year’s program was given to the school at the breakfast. 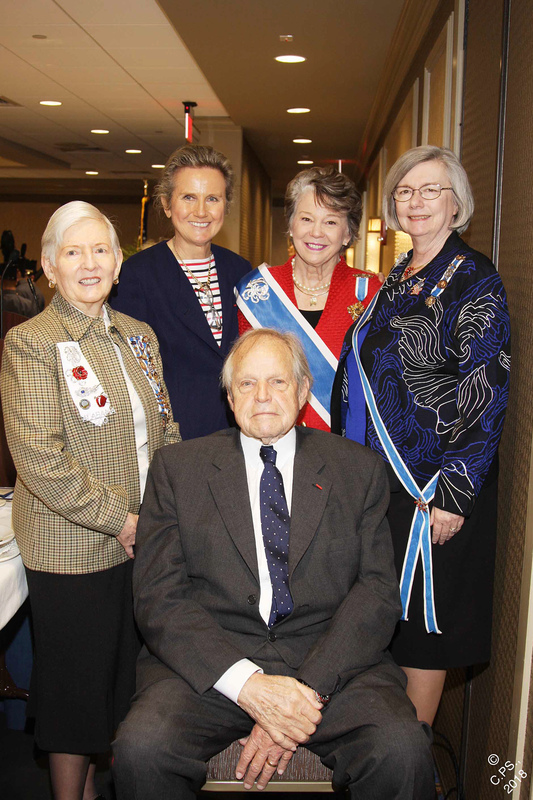 Over 370 Daughters and guests attended the Patriotism Luncheon, which commemorated the service of Alabama soldiers in World War I and honored Nimrod Frazer, who will receive the DAR Medal of Honor on National Defense Night at Continental Congress for his successful effort to establish the Rainbow Division Memorial in France and his work in documenting the service of the Alabama 167th Regiment. Dr. Monique Seefried, US World War I Centennial Commissioner, also presented Mr. Frazer a certificate of appreciation from the Commission. Daughters then attended the beautiful memorial service and celebrated the achievements of chapters and Daughters at the Chapter Regents’ Night banquet. Chapters’ accomplishments were presented in a audio-visual presentation while chapter regents were presented certificates of appreciation. Mrs. Dillon presented certificates for 100% participation in the President General’s Project to 42 chapters and participated in the graduation ceremonies for New Members and New Horizons Course graduates. Chapter Outstanding Juniors, pages, and award winners were also recognized. On Sunday morning, following the prayer breakfast, we were sad to bid goodbye to Mrs. Dillon and our visiting state regents. Alabama Daughters were thrilled to have had the opportunity to get to know our outstanding President General and to be inspired by her dedication to DAR.